The classic hot and spicy flavor of your favorite wings in an ooey gooey pile of cheesy goodness. 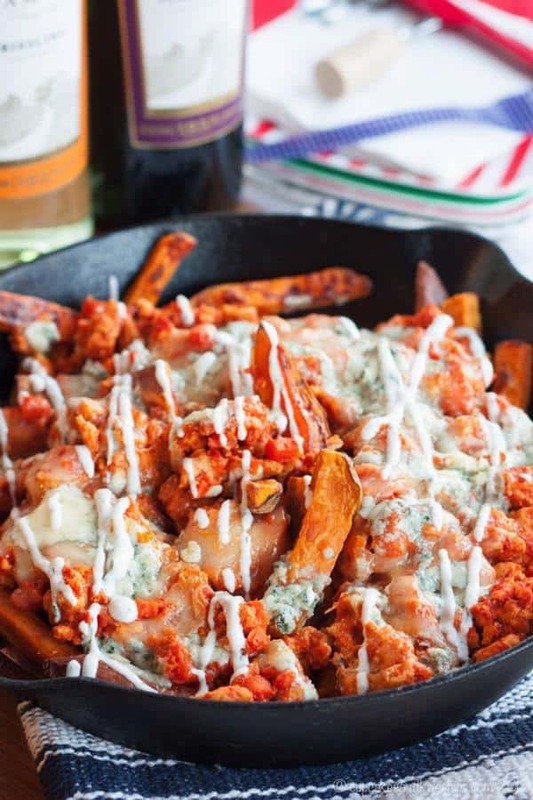 Loaded baked sweet potato fries covered in spicy chicken and blue cheese are the perfect addition to your Big Game menu, or even a weeknight dinner. With the classic hot and spicy flavor of your favorite wings in an ooey gooey pile of cheesy goodness, enjoy these Buffalo Chicken Loaded Baked Sweet Potato Fries. Our new house has about a million TVs. We had two in our old house that came along with us – one for the kids’ playroom and one for the family room. These are dwarfed in size by the ones that are in the new house – in the gym, above the bar, in the basement rec room, and, the granddaddy of them all, the theater room with its projector and screen. Some were included when we bought the house, and when they offered to sell us the others, plus the big recliners in the theater, for next to nothing, the Hubby jumped at the deal. For the football fan that he is, our old “small” (not-so-small in my humble opinion) TVs are now unacceptable. When there’s a game on that he wants to watch, he retreats to 60-inch television in the basement. 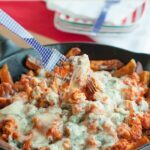 Buffalo Chicken Loaded Baked Sweet Potato Fries are just a giant pile of meaty, cheesy, spicy goodness. 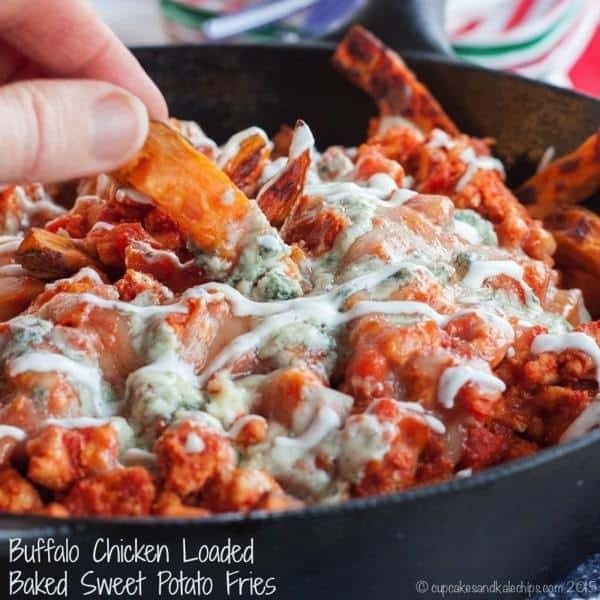 OK, so I lightened up what does that the potential to be a very heavy dish by making baked sweet potato fries and topping it with my Healthier Buffalo Chicken Sloppy Joes. But then I went for it with the cheese – Monterey Jack for to bring in the stretchy, gooey factor, but with a mild flavor so that the boldness of the blue cheese really stands out against the spicy chicken mixture. Finally a drizzle of Ranch dressing (I used my Pantry Greek Yogurt Ranch) and I think what you have here is just the epitome of gameday food. We also dolloped on some Greek Yogurt Blue Cheese Dressing, because the messier the better, right? And oh my goodness, so darn amazing. My boys and I polished off the entire skillet! When a dish has some heat, I like to pair it with a cool, crisp, sweet white wine, like Gallo Family Riesling. If you prefer a red, I’d recommend the Pinot Noir not only to go along with this recipe, but because you’re sure to be nibbling on an assortment of appetizers. These two wines are versatile and balanced, making them perfect for gameday snacking. 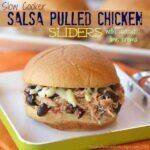 They’ll pair perfectly with all of the dips and spreads and sliders and snacks on your “Supper Bowl” buffet! 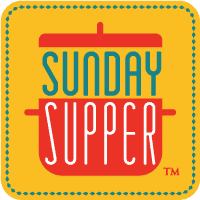 Are you hosting a “Supper Bowl” of your own? 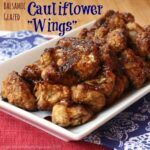 Well there’s twenty new #SundaySupper recipes at the bottom of this post, plus these amazing Football Finger Foods from the Gallo Family and all of the Game Day Eats from our last big tailgate with Gallo. 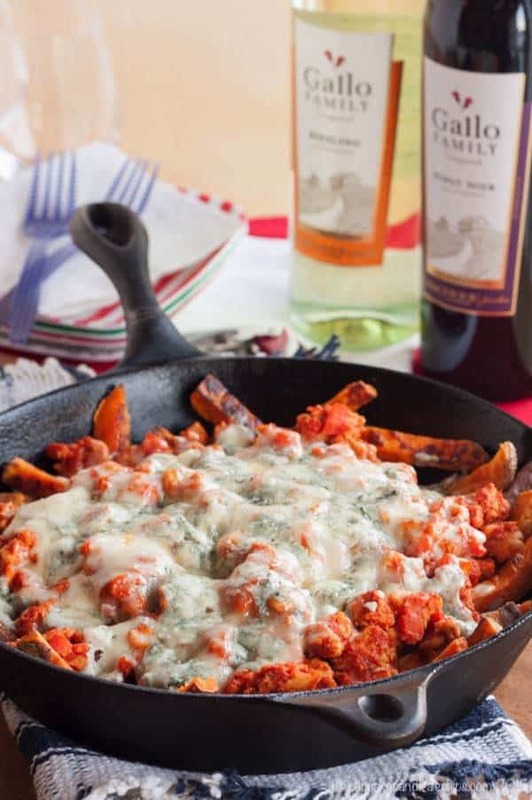 And they’ll also help you out with Big Game Pairings and tips for hosting your own party. Once you’ve decided on your menu, make sure you pick up your favorite wines of Gallo Family Vineyards for your party. You can use the store locator to find them near you! And be sure to connect with them on Facebook, Twitter, Instagram, or YouTube, and check out the to try some of their wines yourself. 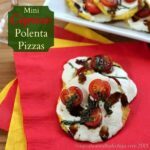 Are you looking for some new and exciting appetizer recipes for a gathering of your friends and family? 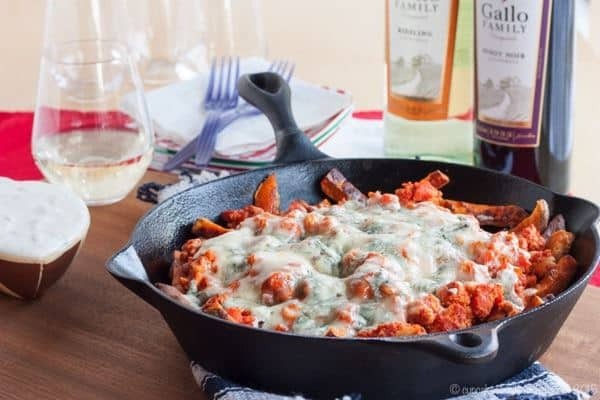 Check out all of the fabulous ideas at the bottom of this post and on the Cooking With Wine Pinterest Board! What appetizers will you be pairing with your favorite wines for the Big Game? Never miss any Yummy Eats & Tasty Sweets! Have new Cupcakes & Kale Chips recipes delivered to your email by clicking HERE! Toss the potatoes in the olive oil, salt and pepper, and herbs, and lay on the baking sheet in a single layer. Bake for 10 minutes, flip the fries, and bake for about another 10-15 minutes, or until golden and crispy. While the fries are baking, prepare the Buffalo Chicken. 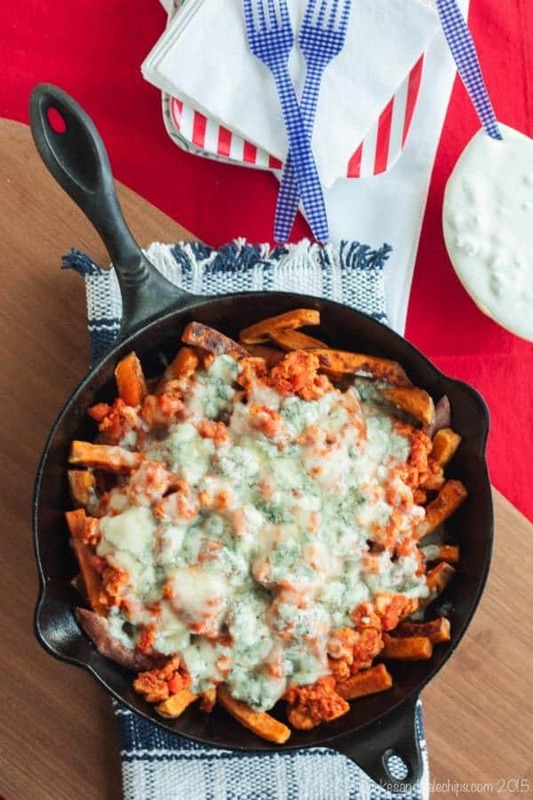 Pile the fries onto a baking sheet or into a skillet that has been lightly coated with oil, top with Buffalo Chicken mixture, Monterey Jack, and blue cheese. Bake for another 5-7 minutes or broil 2-4 minutes, or until cheese is melted and bubbly. 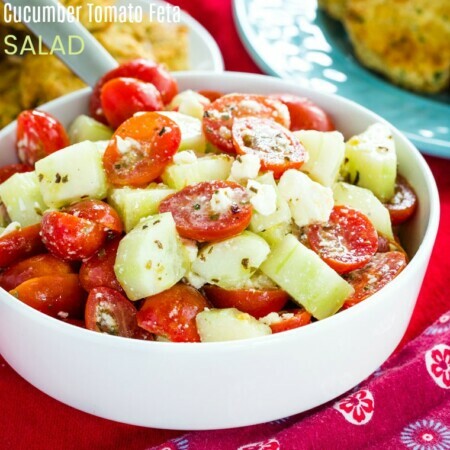 Drizzle or serve with Ranch and/or Blue Cheese Dip/Dressing. Add onions, carrots (and celery, if using), and a pinch of salt and pepper. Cook for 5-6 minutes, or until onions are becoming translucent and vegetables are softening. Add the ground chicken, and cook until done, breaking up the meat as it cooks. Stir in the tomato sauce, hot sauce, and Worcestershire, and simmer for several minutes, until excess moisture has evaporated and mixture has thickened. Need some more gameday munchies? These are UNREAL! Looks like heaven! Your husband and my husband sound a lot alike. Mine has been known to unhook the basement TV and move it up to the living room so he can watch two sports at once, on really big sports days. Meanwhile, I’m in the kitchen. Next time this is going on, I’ll remember this recipe. Love the combination of sweet from the potatoes, and spicy! We’ve brought TVs outside!! Thanks Lori, I love adding a little spice to sweet potatoes! Thanks Rachel! Yes, I love to “Buffalo” everything! This is my kind of game day snack! Maybe too good to share! You’ll have to fight off my 1 year old! He likes spicy food! I love baking my sweet potato fries and you’ve totally turned a “bad for you food” into something not as bad. Is it horrible that I want this for dinner? We most definitely had it for dinner! It’s all good! Oh you clever girl. I love the combo of Buffalo Chicken and my beloved sweet potato fries. 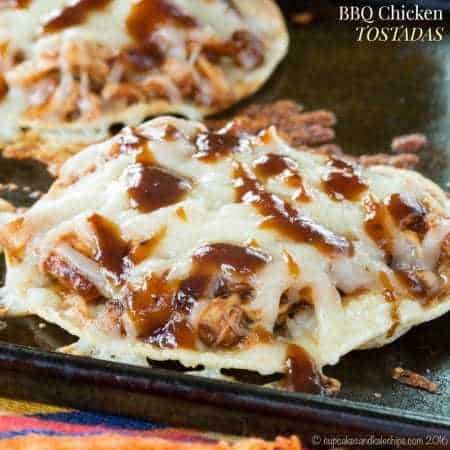 This is definitely going on my game-day menu! This looks incredible! I bet Gallo’s Riesling was delicious with this dish. I want to dive into a plate of these! 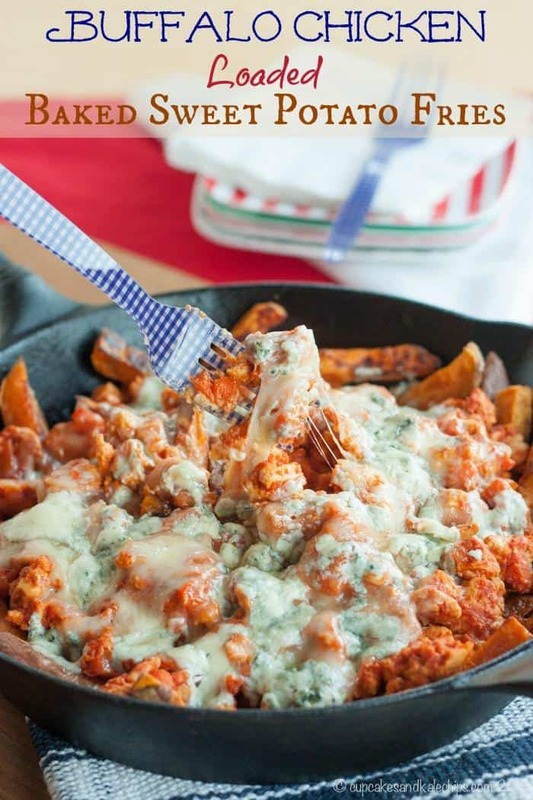 I absolutely love buffalo chicken and loading up fries with it is just awesome! Okay, those forks are seriously awesome. And my husband would devour that entire skillet of fries. Hmm, now you have me thinking of a vegetarian version, because the flavors are so awesome! Oh boy these fries look amazing (Kevin is drooling over my shoulder) and we want to come to your house to watch the game in your theater room!!! Oh my – I love that theater room and it’s perfect for game day (or watch cooking show). And these sweet potato fries twist sound insanely good. Love the combo! Wow, what an awesome combination! I love everything about this dish! 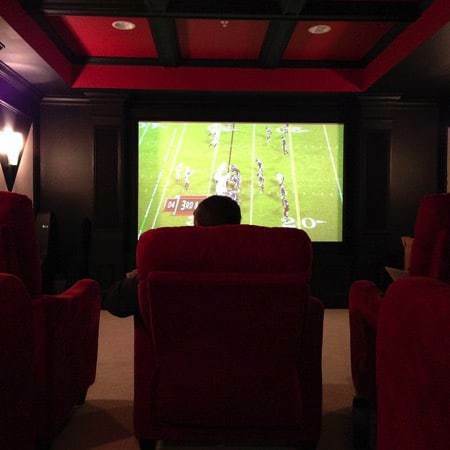 I also think it’s cute you snapped a photo of the husband in the theater room…if we had such a tv and room, I know my husband would do the same thing, hahaha! I had to get a photo – it was to funny! But a great idea! I think you made these just for me! Everything i love in one bite! Perfect recipe!! I may steal it from you! Thanks Jennifer! Go for it! You MUST have some sort of buffalo chicken dish for the big game! 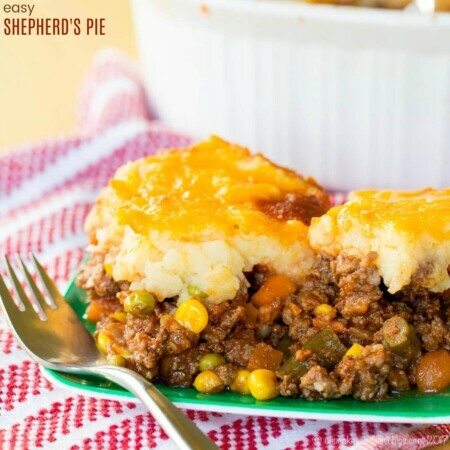 I love yours with the sweet potato twist–I’d savor every amazing bite! I know, it’s totally necessary. I love the slight bit of sweet with all of the spicy and savory flavors! Sounds so good Brianne. Thank you and have a great Sunday. That sounds like something my husband would do. He would totally be jealous over that theater room Love these cheesy, meaty fries. Pinned. How can you go wrong with meat, cheese and fries! Next football season you’ll have to come over to watch a game! Two of my favorites rolled into one! I will be making this for our game day! I know, these are a couple of my favorites. I had to combine them! 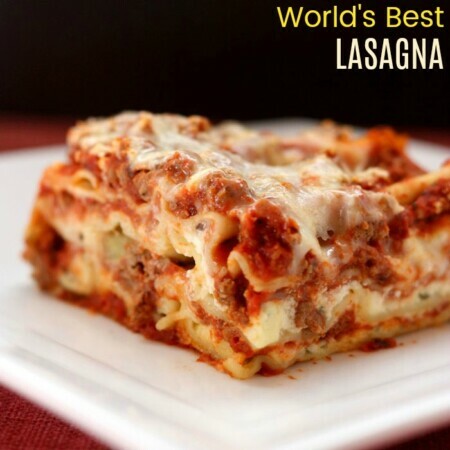 What a deliciously creative recipe! Great idea! And can I just say that I’m in awe of your theatre room! We are still kind of in awe of our theater room! That was an added perk in this house! Back away from the skillet because it is all mine!!! Oh my heavens Brianne. Wow. It was tough to share! Thanks Renee!